In her session at FutureEverthing 2011, Professor Sue Thomas talked to us about her fascinating paper, When geeks go camping – finding California in cyberspace, which explores the relationship between nature, the outdoors and technological development. So, before you read any further, pack away that image of the speccy young geek, hiding away in his bedroom and chained to his computer. This post is about geeks of all ages getting out and about, and the amazing things that happen when they do. Technomads Chris Dunphy and Cherie Ve Ard, love code and the great outdoors. They describe themselves as ‘two gen-X geeks’ who are utilising technology to engage in a full-time traveling lifestyle. After an amazing winter in the US Virgin Islands, we returned stateside and got an offer on our beloved solar powered Oliver Travel Trailer that we couldn’t ignore. We took it as serendipity’s signal that it was time to sell and seek out what is next. We’re currently on the hunt in a temp home-on-wheels (a 20′ Winnebago Le’Sharo) to seek out an awesome vintage bus to travel/live/work in next! We want to slow down the pace, stay in places longer, have room to spread out to work and then be able to park for a while as we do some multi-month international travel jaunts. The way Chris and Cherie talk about life on the road, their working day and the choices they make along the way, really reminded me of the kind of ideas and aspirations that have emerged from technological utopianism over the years. Finding out a little bit more online, it seems that the dot.com boom years in California during the 90s, saw the emergence of a new form of technological utopianism that combined the bohemianism of the hippy counter culture of the 1960s with emerging digital promise. Very much connected to the growth of Silicon Valley in California at that time, there was a growing belief among technologists and digital entrepreneurs at this time (of which Chris was one), that technological developments could really enable people to increase their personal freedom by freeing them from the rigid structure of big government and big business and provide a viable escape from urban life – whilst being able to earn a decent living remotely. Rather than limit themselves to just talking about it, Chris Dunphy and Cherie Ve Ard are two of the few people who have actually made their technological utopia a reality – with some inspiring results. Their technology set-up is truly amazing, and not for the feint hearted. It includes a variety of computers, smartphones, navigation and weather devices, aircards, antenna, routers, cameras and printers. They also develop useful apps for themselves as and when they come up against new challenges, such as Coverage?, which enables travelers to find out where they can next expect network coverage and State lines, which describes itself as an indispensable traveler’s guidebook to highly variable state regulations. Jon Postel, an American computer scientist, who made many significant contributions to the development of the Internet, represents a classic case apparently. Whenever he faced a challenge in his work, Jon would often go out for a long walk and find that on his return he could more easily see the solution he needed. As well as working on the development of the internet, including the creation of TCP/IP (basic Internet protocols) and many of the key internet standards, such as SMTP (email transfer), and DNS (name servers), Jon was also the Editor of the Request for Comment (RFC) document series and he administered the Internet Assigned Numbers Authority (IANA). Another example of a geek who loves being outdoors is Howard Rhinegold. A critic, writer, and teacher; Howard has written about the cultural, social and political implications of modern communication media, including the internet, mobile technology and online communities for over 20 years. Howard’s love for the outdoors has seen him take his office into the garden, where he says he finds it easier to think, imagine and work. He has described his garden office as an “externalization of his mind where he can absorb information, write, and create art”. You can find out more about Howard Rhinegold’s story here. The third and final theme that Sue covered in her talk was organised geek camps. Because of her interest in California scene, Sue primarily focused on particular ‘FOO camp’, which started 2003 in order to inject some hope into the technology industry in California, after the ‘bubble burst’. Foo Camp is an annual hacker event hosted by Tim O’Reilly and Sara Winge. It was one of the first conferences to take an ‘open’ approach to programming, where the schedule is developed by the attendees at the event. This approach has since been replicated by other ‘geek camps’ taking place in the UK, such as barcamp London, dorkbot London and interesting events. 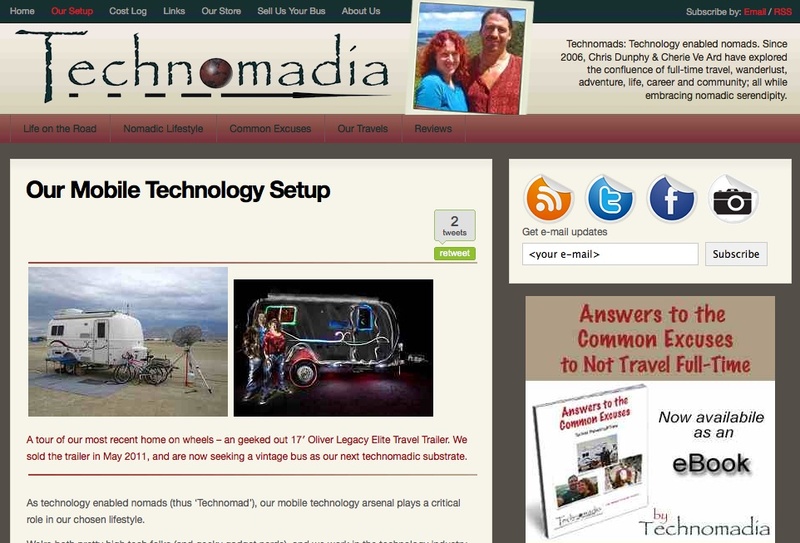 So, the general premise is the same the world over, ‘when geeks go camping,’ ideas hatch. For a quick and easy real-world example, just take a look at the things that have come out of recent Rewired State hack days in the last few years.